It’s time again for the Watcher’s Council’s ‘Weasel Of The Week’ nominations, where we pick our choices to compete for Award the famed Golden Weasel to a public figure who particularly deserves to be slimed and mocked for his or her dastardly deeds during the week. Every Tuesday morning, tune in for the Weasel of the Week nominations and check back Thursday to see which Weasel gets the votes and walks off with the statuette of shame! 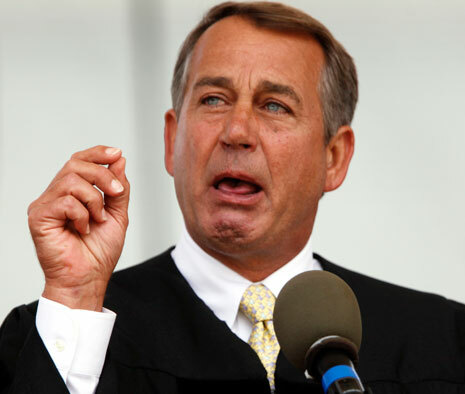 Squeaker of the House, Obama Doormat and RINO extraordinaire John Boehner!! The Noisy Room : John Boehner for betraying his conservative base and aligning himself with Obama and the Progressives on the Left. In the CRominbus bill, he gave everything and more to Obama on every Progressive issue addressed. It was a breathtaking act of treason against conservatives and the Tea Party. “John ‘Gruber’ Boehner, two days after the midterm elections, talking tough on the issue of amnesty, but unfortunately, that’s all it was. Because today it’s conservatives who feel like they’ve been burned as the Speaker aligned himself with the president, with Harry Reid, Steny Hoyer and Joe Biden to pass a spending bill a short time ago,” Hannity said. Boehner would not even speak, much less negotiate with conservatives on this and he implemented a provision that would effectively raise the amount that high net-worth donors can contribute to political party committees from $97,250 to $777,600, was an egregious slap in the face to the Tea Party and conservatives. It basically ensures that fat cats are the only ones who can afford to run and it is a blatant attempt to shut out Tea Party candidates. Time to go RINO hunting as Sarah Palin put it. Lock and load. The Independent Sentinel :John Boehner is unquestionably my choice for weasel of the week, perhaps for the month, no the year. He said he would stand up to Barack Obama before the election, but the only ones he has stood up to are conservative Republicans. When it looked as if the budget wouldn’t pass, he pressured conservatives and when that didn’t work, he went to the far-left Steny Hoyer and Barack Obama to get the bill passed. Boehner pushed through a budget that funds amnesty. The Republicans have nothing to fight with next year. We can’t defund the DHS. Any fight is always pushed off into the future with this phony. He betrayed the people who put Republicans in control of the House and the Senate. My second runner up for weasel is Karl Rove who is pleased that we are on our way towards having a budget as if that were the end all and be all. We passed an exorbitant spending bill that funds all of Obama’s lawless actions and neither Karl Rove or John Boehner appear to care about the Constitution in all of this. VA Right: I’m going to go with John Boehner and his lead from behind deal with Barack Obama on the Omnibus bill. The voters made this a wave election, not to get the Republicans to work with the Democrats, but to get them to push back. Boehner gave up an entire year of leverage and opportunity. He managed to prove that Republicans are not the answer either. 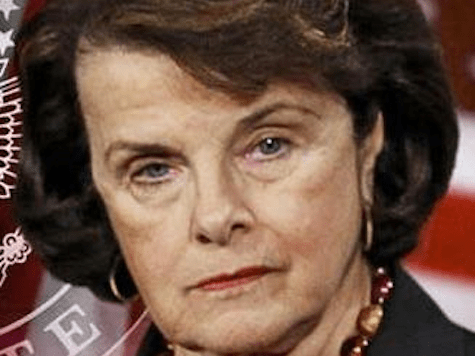 GrEaT sAtAn”S gIrLfRiEnD : For unleashing a partisan report that only spoke to terrorist pro bono attorneys with serious Nat’l Security repercussions. Allies and fence sitters will be less likely to work with America since anything they help with could be blown by a spiteful old lady. Enemies may use it a rallying point to continue their mad jihad to kill innocents and innocent Americans. Hamas Shill And British Labour Party Nutjob Sir Gerald Kaufman!! Sen. Elizabeth “Stands With Fistfuls of Corporate Cash” Warren! Sen. Warren is the new face of progressives in the Democratic party, meaning she’s extremely wealthy, white and old – having turned 65 last June. She’s being considered as the youthful alternative to Hillary Clinton (who turned 67 in October). But being eligible for full Social Security benefits doesn’t deter her nomination for weasel of the week, especially for one as weaselly as Warren. Weasel Warren: it has a certain ring to it..